Big ideas needs a little push to become the next big thing. A Cyberport Accelerators stand outside the trees that are blocking you from seeing the forest. CyberPort brings together extraordinary individuals from a range of diverse backgrounds to meet co-founders, create companies from scratch, and secure funding. The Cyberport personal trainer kicks you to the next level that you couldn’t figure out how to get to on your own. You have a startup, but you are at the point where you could use advice, direction and a little funding. Operating a startup can be lonely and challenging. That’s where an accelerator can help. When you work within an accelerator, you get support from mentors and those sponsoring you. Besides emotional support, they can provide direction, experience and knowledge. Plus, you have the support of other founders in the accelerator program with you. While an accelerator program may seem like a short time, those few months are jam-packed with activities that benefit you and your startup. Although accelerator programs do vary, a typical program includes meetings with mentors, feedback sessions, “demo day” presentations, networking and social activities. There is a lot of information to glean from these events and even more to apply directly to your startup. 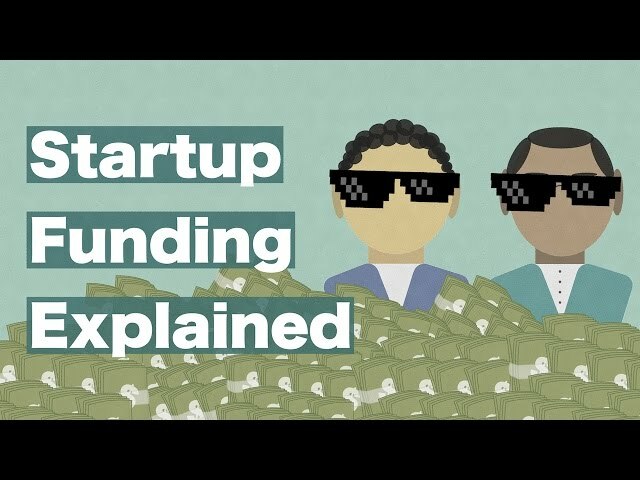 While accelerator programs don’t tend to give out much in funding, what they do is connect you directly to interested investors who are drawn to accelerators in the hopes of discovering the next big thing. During an accelerator’s “demo days,” many investors are invited to watch the presentations. There is also time to meet and mingle with investors. This opportunity can open the door to additional funding offers, especially when the investors see that the accelerator program has helped you further develop your startup into something that shows the potential for return. An accelerator program packs in so much information from the years of experience and skills that each mentor or accelerator manager has amassed. This concentrated form of information allows you to speed up what you are doing with your startup. Instead of reinventing the wheel, you are leveraging their years of accumulated wisdom to launch your startup in a more calculated, strategic way. Clearly, this can improve your chances of success. Accelerators are now including target audience members at demo days so they can hear about what you are doing as you share more about your project. This can create an early buzz about your startup. The advance publicity can also help you validate what you are doing and give you a timeline to work toward so you keep those future customers ready and waiting for your launch. The prospects you interact with during demo days or via other channels can form the start of an important database of leads, as well as give you a head start on brand development and recognition. An accelerator program focuses on teaching you the skills that are essential for running a business, including sales and marketing, communications, finance and even some technical skills. Accelerators also help you share your skills with other founders who are in the same program cohort, providing a great testing ground for disseminating your skills later on to your own team. The risk of failure is on the mind of every startup founder. It can feel as though the cards are stacked against you, and there is risk in everything you are taking on. This includes the market you are entering, the product you are offering and the concept that you are selling. An accelerator can identify the risks within your concept and help you work on minimizing them. Also, those within the program can provide you with direction in proactively taking on risk and managing it effectively. As a founder, especially a first-timer, it can seem impossible to look beyond the first six months to a year. However, it is vital to work toward a much longer view and outcome. Accelerators stand outside the trees that are blocking you from seeing the forest. Mentors in accelerator programs can help you see the complexity that will develop in time and steer you in the right direction to deal with it. They can ask the questions that get you thinking of the bigger picture and what it should look like. Then these mentors can suggest the tools and tactics to get you there. An accelerator can work for startups in all phases of their growth. Even those that are much closer to becoming an actual business should consider one. You may have encountered a problem or reached a growth plateau. An accelerator can be that personal trainer who kicks you to the next level that you couldn’t figure out how to get to on your own. This might include using the accelerator and the expertise within it to launch a more diversified offering or expand into a new market. Accelerators don’t offer one model or format. The growth in accelerator programs means that there is one that most likely addresses your growth stage, location, industry or niche, desired level of oversight and involvement, planned outcome or any other factors that are critical to what you want to accomplish. The result is an encouraging environment that will help you thrive. The collective and collaborative environment found in accelerators is sure to keep you going and moving forward. Interaction with other founders is a powerful motivating force. When you hear about their own self-doubts and challenges, it resonates with you. Plus, it reminds all of you that it is possible to overcome those doubts and work together to clear your respective hurdles. Just because the accelerator program ends in a few months doesn’t mean the support does. Long-time relationships develop at accelerators. Plus, the alumni network is always there to tap into -- to inquire about talent, seek investors, or get feedback - as you continue with your startup or take on any other projects in the future. © 1993-2019. Global Internet Services.